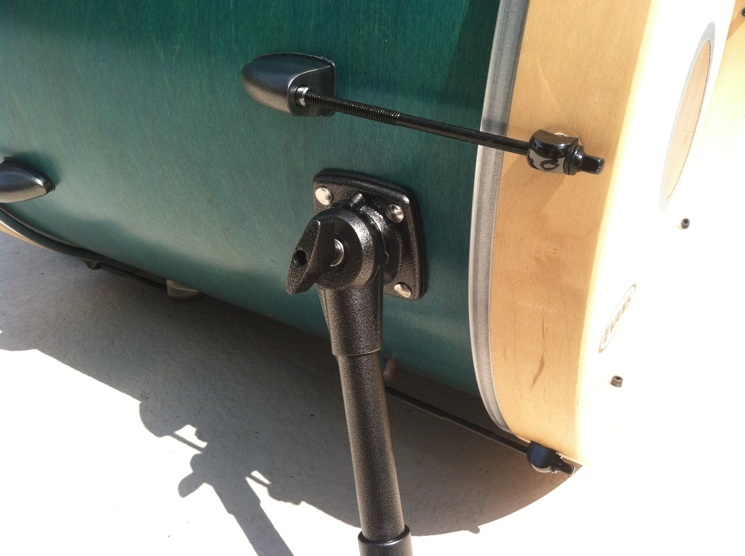 What type of drum hardware did you use? Hoops are maple, lugs are a basic Yamaha style teardrop, but I powder coated them with an “antique silver vein” finish. What type of finish/wrap did you put on your drums? 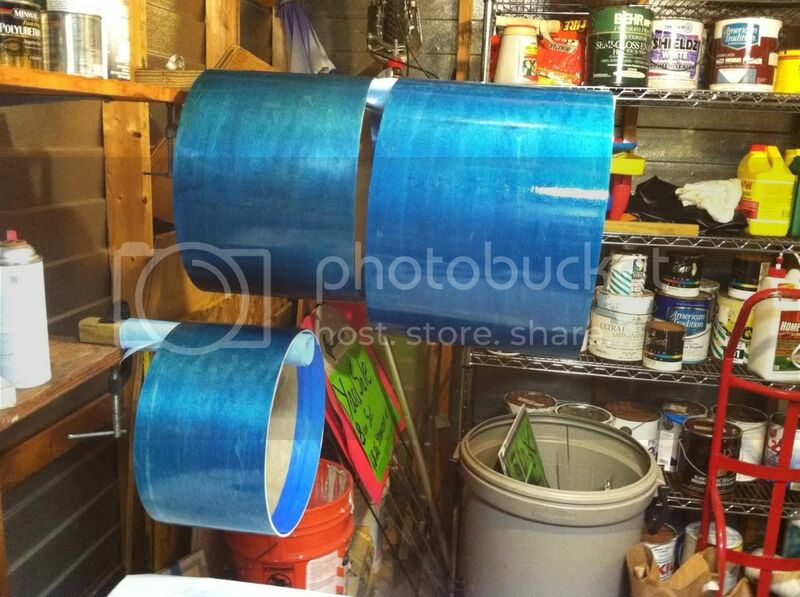 “Sapphire Blue” water based dye, several coats of poly using steel wool between coats to get the satin finish. What was your favorite part of building your drums? Watching the “finish” evolve between coats, sanding, poly applications. For me it was the “sanding.” I have trouble with my wrists (tendinitis). Second, would be applying the polyurethane. It was my first time and I had a few runs I had to repair on the first couple of coats. 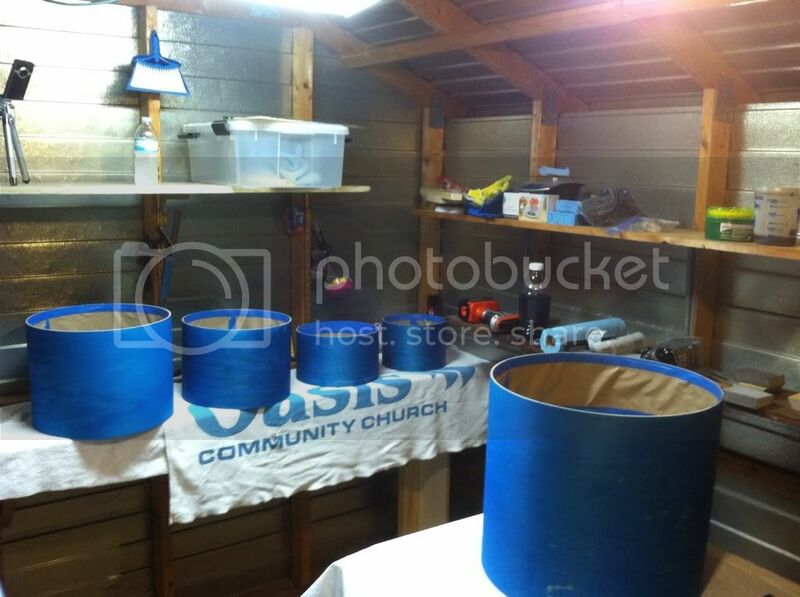 How long did it take you to build your drums? Well… About 9 months. However, I had to put the project on hold several times. Probably about 80 hours total. 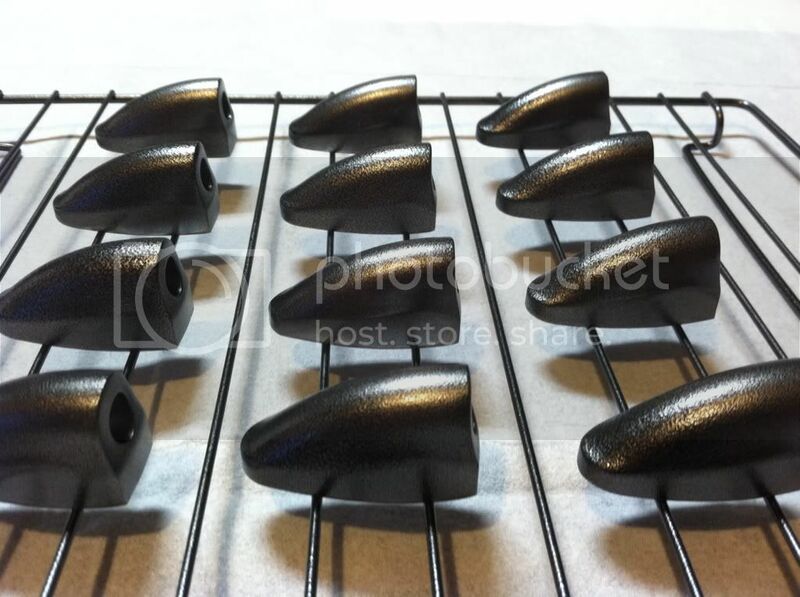 The powder coating added a good amount of time. 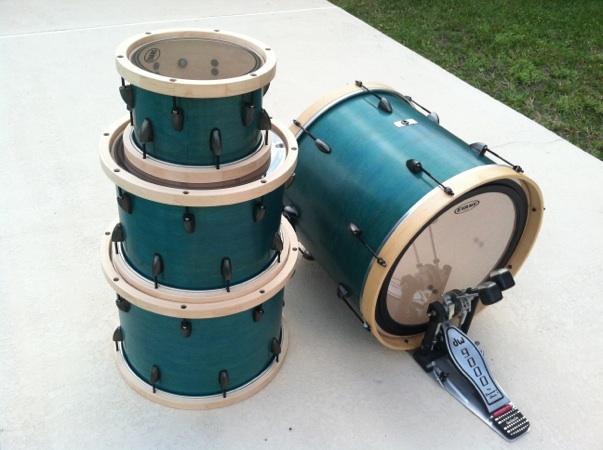 How Much Money Does it Cost to Build a Custom Drum Set? 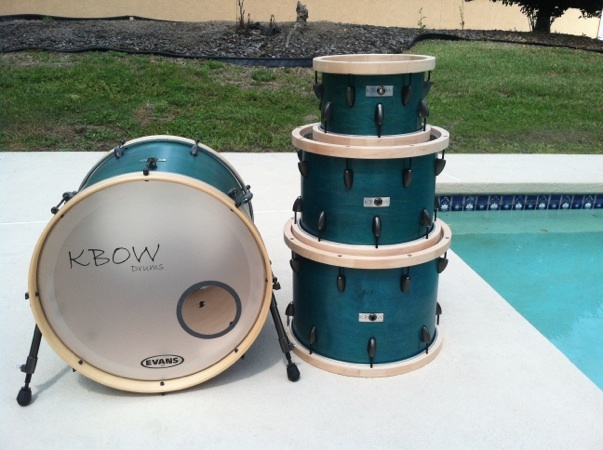 For actual drum parts, I suspect around $1400. I had additional costs with tools, router table, powder coating equipment, etc. How did you learn about building custom drums? I bought the “How to Make Custom Drum” book. Don’t rush process and don’t settle for “good enough.” If something doesn’t turn out the way you like it. Fix it or redo it. I made that mistake and had to refinish two drums after I had already applied the polyurethane. I thought it was “good enough” then once the drum finish was complete… “good enough” didn’t cut it. I should have made that call after applying the dye.